Guernsey Rentals began life as the Letting Department of Alpha Estates. Over nine years it has grown from a humble section to a separate Company in its own right. We currently manage in the region of 100 properties with most of our landlords using us exclusively. Managed and owned by David Ingrouille, ably supported by David Sinclair the team have over 50 years of combined experience in both Commercial and Residential management. Our unique approach ensures that we tailor our products to comfortably provide the most efficient and effective service possible, at a substantial discount to many of our peers. We firmly believe that the letting market has changed significantly over the decades and the ‘one size fits all’ approach provided by some agents is no longer relevant. David was a founding director of Alpha Estates in 2007, having spent most of his career in the Finance Industry and Commercial Business Sector. Having purchased his first Buy-to-Let investment in 1996, he learnt the importance of getting the right tenant from the start. In order to bolster his practical and common-sense approach to Property Management he studied for various courses with the NAEA, in addition to holding accountancy qualifications. He has steadily built the Guernsey Rentals business by focusing on understanding the landlords investment goals and never compromising on principles when it comes to tenant selection. Outside of work, David is a motivated DIY-er and has built and renovated several properties. In spare time he is a keen motorcyclist and likes to occasionally ‘ruin a good walk’ by carrying golf clubs. Dave Sinclair joined Alpha Estates in June 2012 to manage the Letting and Property Management Department. He brought with him 37 years of experience with Barclays Bank, during which he managed their Channel Island property portfolio for 12 years. Qualified as ACIB and a member of the British Institute of Facilities Management he holds a wealth of knowledge to apply to any type of property. Dave is married with two grown-up daughters. He also enjoys playing golf and reminiscing of his youth by watching sport whenever possible. Jo joined our team in early 2018 and performs a vital administrative role whilst providing front-line support for tenants and landlords alike. 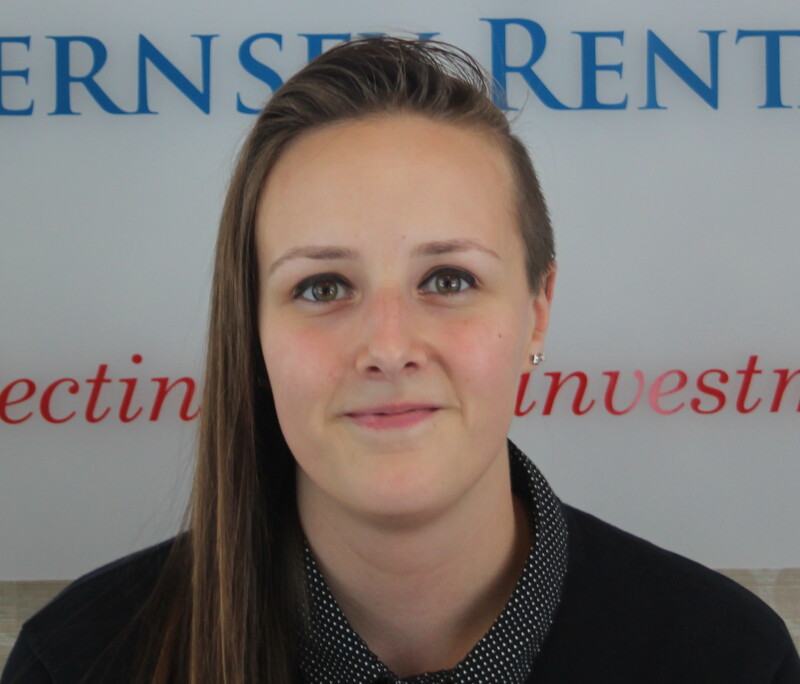 She has previous experience in the telecommunications retail sector giving her great customer service skills and is now currently learning about all aspects of property management and letting.